I first come to know about this restaurant a couple years ago and I love this restaurant since. 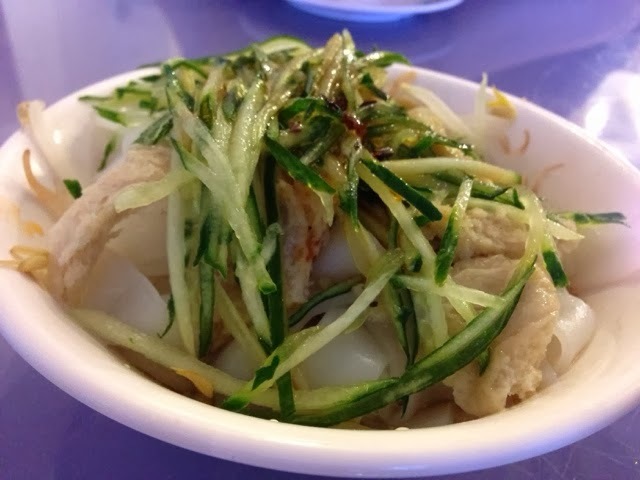 Highly recommending their handmade noodles, you must not leave the restaurant without trying at least one of the noodle dishes. 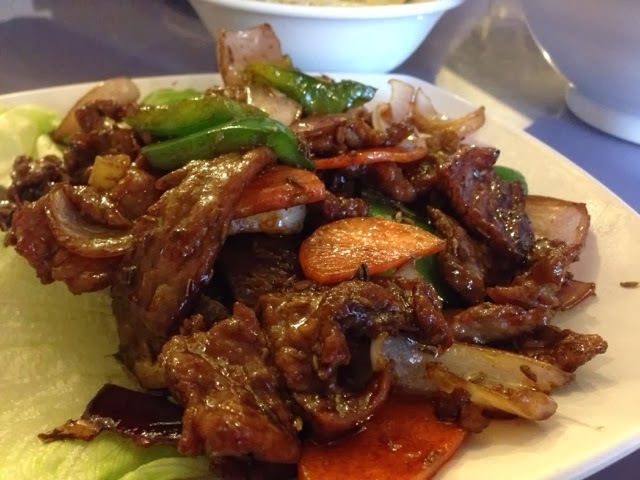 The restaurant have very friendly staff and offers an extensive menu. More importantly, we are always served with perfectly al dente handmade noodles. Their quality is always consistent. 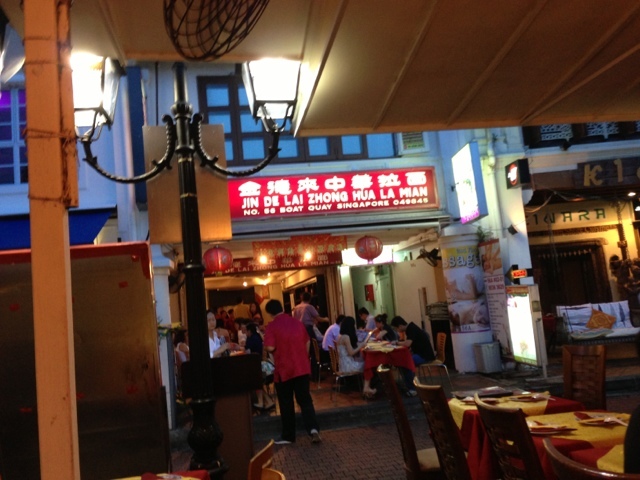 We visited Jin De Lai Zhong Hua La Mian (金德来中华拉面) again. We ordered our usual dishes and new dishes. Nothing beats this, spicy tofu skin salad [麻辣豆腐丝]as appetizers to whet your palate. This salad consists of tofu skin, spices, crunchy cucumbers, chilli strips, bamboo shoots (I think) and lettuce. 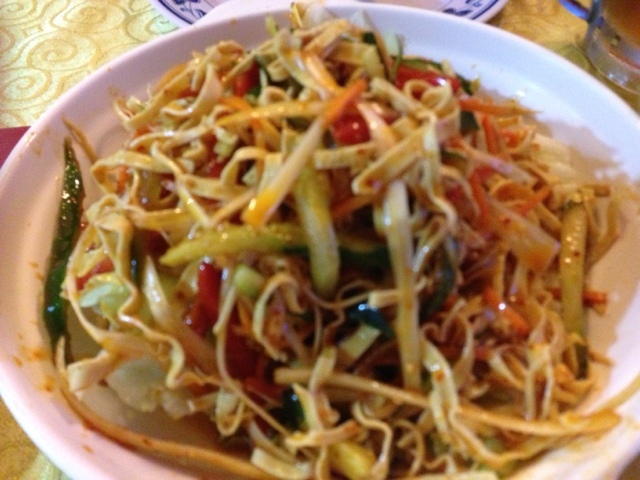 I loved the crunchiness and spiciness of this cold dish. You will definitely be wanting to have more. 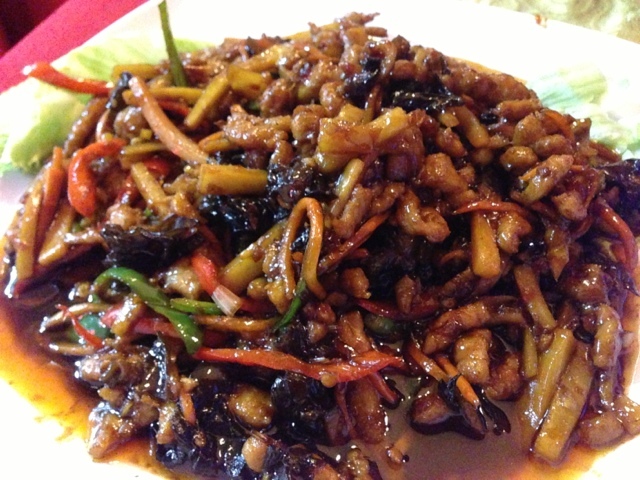 Fish fragrance Pork Shreds (鱼香肉丝 - you xiang rou si）is a definite must-have when you dine at the restaurant. 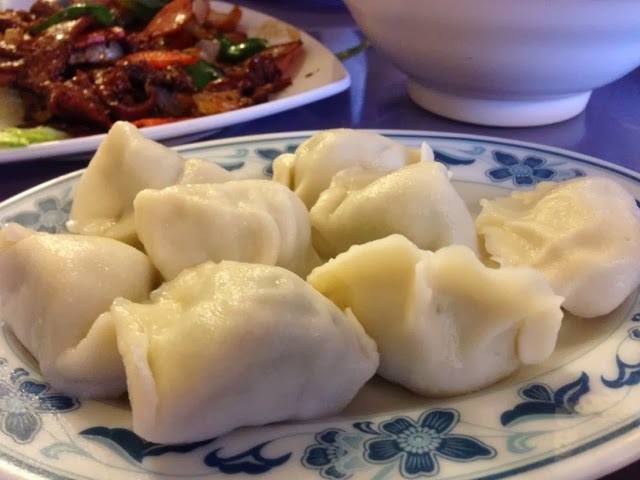 Despite of its name, it does not mean that the dish has a fishy taste or smell. As one of the famous Sichuan dishes, the dish serves with wood ear fungus, red chilli paste, bamboo shoots, and shaoxing wine. 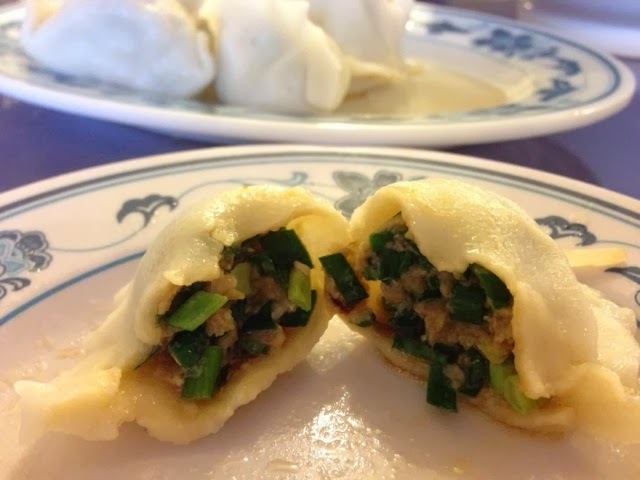 This unique dish not only gives a crunchy texture but also blends well with the strong Sichuan combination of vinegar, sugar, shaoxing wine and chicken stock. 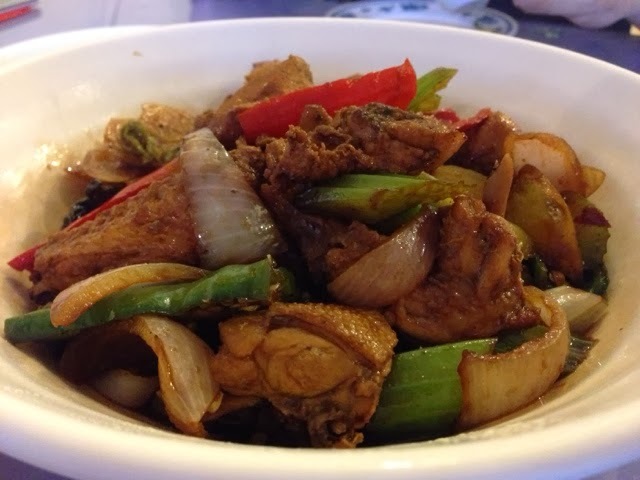 Another must-order dish is the dàpánjī 大盘鸡 (Big Plate Chicken). 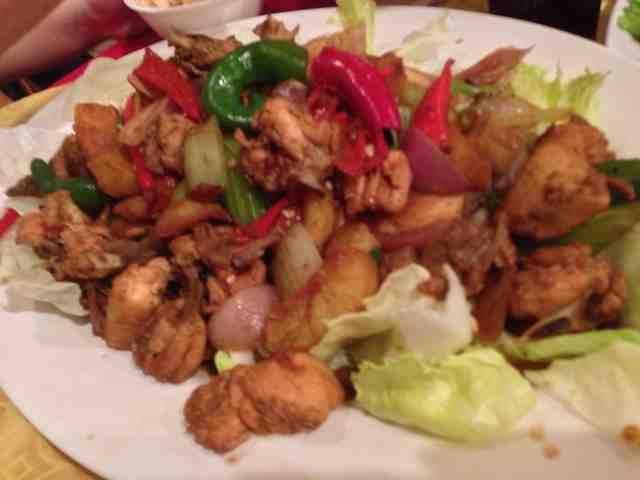 This popular Uyghur dish in Xinjiang, China, is served with a combination of meat and vegetables such as chicken, celery, potatoes and Sichuan chilli peppers. The chicken were cut into bite sizes, sauteed with spices and vegetables and served with handmade la mian. Be careful whilst eating the chicken because it is usually served with bones. Do keep a packet of tissue at arm's length for those who do not eat spicy food. 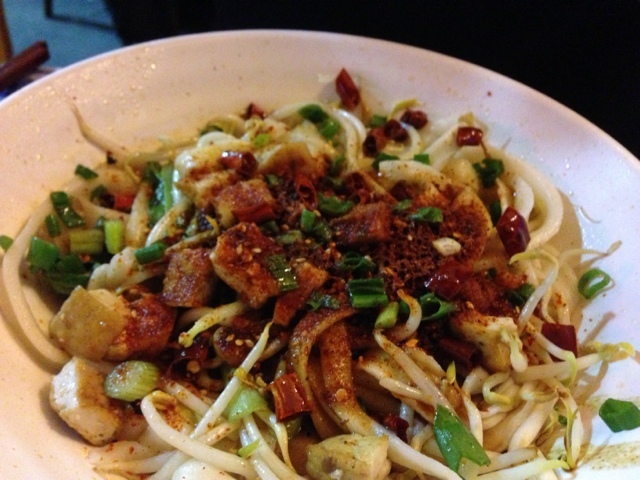 Oil Sprinkled Noodles (or 油泼扯面 - you po che mian), a dish that is most commonly listed on menus outside of Shaanxi, is made up of wide wheat noodles mixed with fried beancurd cubes, beansprouts, and Sichuan chilli flakes. This dish was very appetite satiating. It gave me the oomph to continue eating the spicy noodles with watery nose. I love it!